Fishbourne Roman Palace is located near Chichester in West Sussex. This large palace, around 150 metres square, was built in the 1st century AD, around thirty years after the Roman conquest of Britain and it was abandoned after 270 AD. Excavated only recently in 1960, a museum now incorporates most of the visible remains including one wing of the palace. 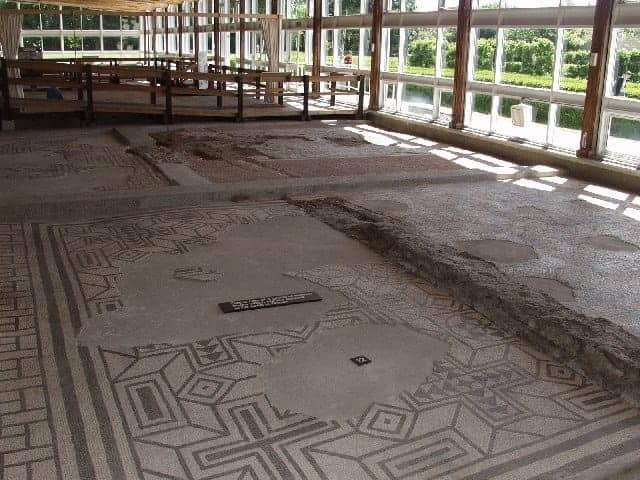 Visitors can see original mosaics and explore the remains of the largest Roman domestic building in northern Europe, and Britain's earliest formal garden.